But while Samsung is just starting to float its AR cloud to developers, Niantic's version of the AR cloud, the Niantic Real World Platform, is already off the ground, as the first app built on the platform, Ingress Prime, launched this week. Meanwhile, Domino's Pizza served up the latest AR experience designed to attract customers, while ABC News debuted its broadcast AR experience intent on increasing viewership. On the same day, attendees also got a first-hand look at the Project Whare AR cloud platform from the Samsung Next emerging technologies incubator. 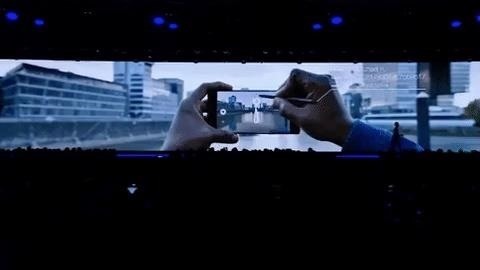 Project Whare offers many of the AR cloud qualities that platforms like the Niantic Real World Platform and 6D.ai bring to the table, while adding, but Samsung's platform also adds a fairly unique capability. REALITY BITES: According to a report from TechCrunch, Facebook has realigned the organizational structure of Oculus. The company, which is focused on AR in addition to VR, is moving from a structure based on product groups to one focused on technology expertise. Historically, executives rarely reorganize when they are happy with how things are going, so expect more changes there in the coming months. Ingress, the godfather of location based-AR games developed by Pokémon GO creator Niantic Labs, is getting a new lease on life via Ingress Prime, a reboot of the game built on the Niantic Real World Platform. After teasing the reboot late last year, Niantic launched the new game on Monday on the App Store and Google Play. The premise remains the same — "hack" portals at real-world locations to claim territory for your chosen faction — but the game receives some user interface improvements. REALITY BITES: Emerging from Netflix's most recent Hack Day is an eye-tracking navigation system built with ARKit and enabled by the TrueDepth camera of the iPhone X series. While these hacks rarely make it into production, there's actually an app called the Hawkeye Access web browser that employs the same approach. Developer Matt Moss originally presented the concept in June. If you're hungry for pizza and ordering from Domino's in Australia, you can now see what your pie will look like in augmented reality before placing your order. Available through the App Store and Google Play, the updated Domino's mobile app includes New Pizza Chef, an entertaining tool that lets customers build a virtual version of their pizza and their chosen toppings. 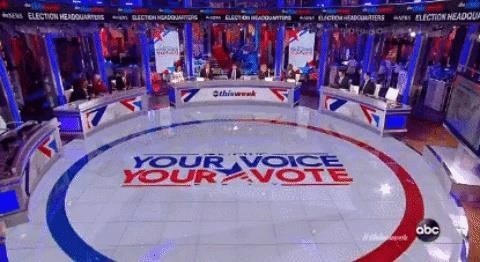 Election Day is like the Super Bowl for network and cable TV news, so ABC News is breaking out the big guns with a new augmented reality experience to win over eyeballs of viewers. With all 435 seats in the House of Representatives, 35 seats in the Senate, and 36 governor offices in contest, ABC News designed a new augmented reality news set in order to visual the data viewers crave on Election Day.